When going to your lumberyard you can find several different plywood grades. It is not always obvious what the different designations stand for but I will try giving you an overview of some of the most normal grades plywood comes in. Grade N veneer shall be smoothly cut 100% heartwood or 100% sapwood, free from knots, knotholes, pitch pockets, open splits, other open defects, and stain. The veneer shall consist of not more than two pieces in 1220 mm (48-inch) widths and not more three pieces in wider panels, and shall be well matched for color and grain. Grade A veneer shall be firm; smoothly cut; and free of knots, pitch pockets, open splits, and other open defects and well jointed when of more than one piece. Grade B veneer shall be solid and free from open defects and broken grain, except repaired smaller splits, openings, knots and cracks or checks. Slightly rough grain shall be permitted. Minor sanding and patching defects shall not exceed 5% of panel area. Sanding defects shall not impair the strength or serviceability of the panel. Knotholes, worm and borer holes, and other open defects; sound and tight knots; split; broken grains; pitch pockets; plugs; patches and shims shall be permitted. Where grades having C Plugged face veneer are fully sanded, sanding defects shall be the same as admitted under B grade. Any number of plugs, patches, shims, worm or borer holes, sanding defects, and other characteristics shall be permitted, provided they do not seriously impair the strength or serviceability of the panel. The above list is not a fully description of all the grades available but I am pretty sure it will cover most of the plywood you’ll find at your lumberyard. Oh, and one last thing. Remember always to buy plywood that are glued with water and boiling proof glue. That is normally stated with a WBP mark. You can get plywood in many different qualities and versions. The price differs a lot depending on what you choose. 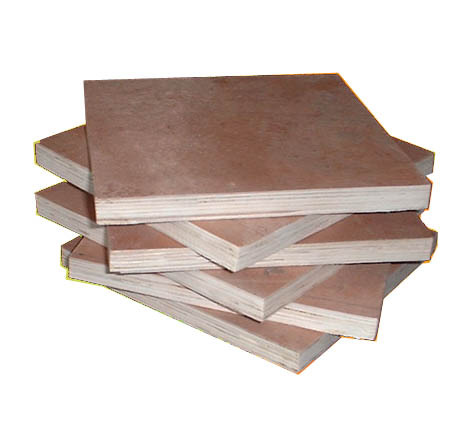 The different plywood grades are normally designate in accordance with the surfaces and the core. The most superior plywood for boat building is of course marine plywood. For a large variety of applications it is excellent but for some applications it might be overkill to use marine plywood. For most backyard and home build boats it is fully acceptable to use exterior grade plywood. It is always recommended to prime the plywood with epoxy resin in order to make the plywood moister resistant. I have for many of my own boats used cheap Brazilian plywood in grade B/C and it has worked fine without any problems. Below you can see the different grades for plywood. The B/C grade means that one side is B-grade and the other is C-grade. And there is still more to plywood than this… In the last part of this series I will give you a overview about the different grades you can typically find in your lumberyard. One material that is often used when for backyard and home boat building is plywood. You can get a large variety of boat plans using the stitch and glue building method. My own company Boatplans.dk is also dedicated to developing and selling boat plans for stitch and glue plywood boats. Plywood is thin sheets of wood glued together and each ply has the veneers going perpendicular to the next ply. As you can see on the picture there are always an uneven number of plies. This is so the surface plies have their veneers going in the same direction. This is really handy when cutting the plywood. The properties of plywood are in many ways superior to that of wood. Since the plies are glued together the dimensional stability is really good, meaning it’s possible to join plywood with epoxy and fiberglass. The plies are glued together and this gives the main disadvantage for plywood in a wet marine environment. If the glue is not right and the plywood not sufficient protected from water the plywood will delaminate and the structural integrity of the boat will be compromised.